It’s time to shake up your salads! 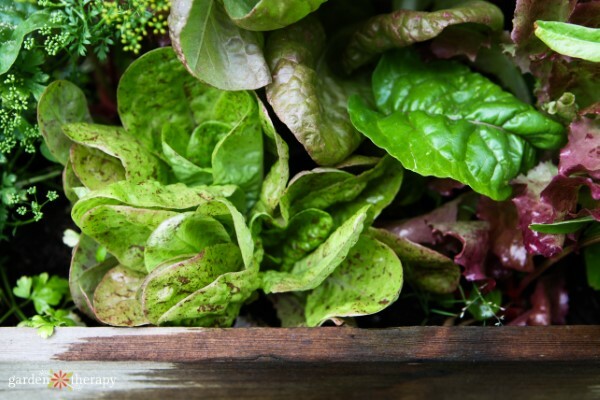 There are more options for homegrown greens than heads of lettuce. Leafy greens run the gamut from bitter to spicy, providing a more interesting punch to a salad. Growing unusual greens can add unique textures and plenty of flavor to your plate. 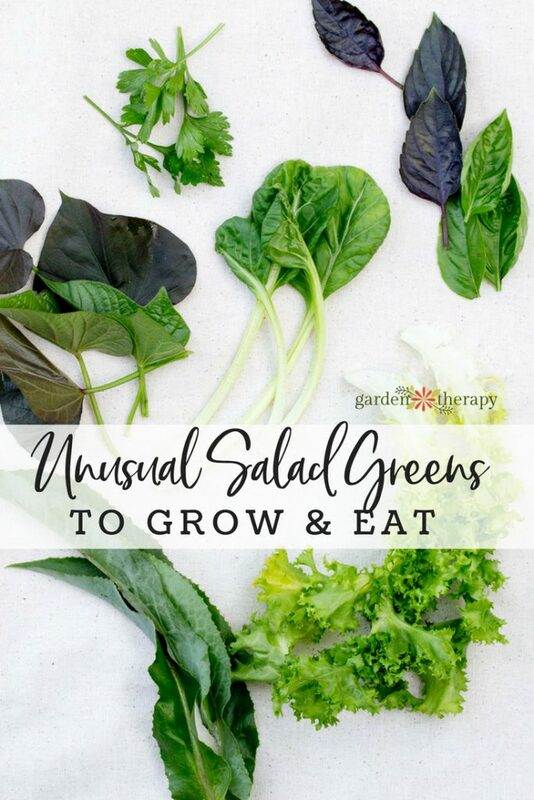 But the best part is that many of these unusual salad greens are very easy to grow! Most leafy greens are cool-weather vegetables that are best planted in the early spring (as soon as the ground is workable) and in the fall as temperatures begin to drop. They grow quickly and can be harvested when the plants are young and tender, and many will grow well in cold frames or undercover in the winter, making these a great choice for year-round gardening. Also, the greens off of many root vegetables like beets, turnips, and radishes can be eaten when young and make great salad greens. Yes, the leaves from the infamous yellow lawn invader. 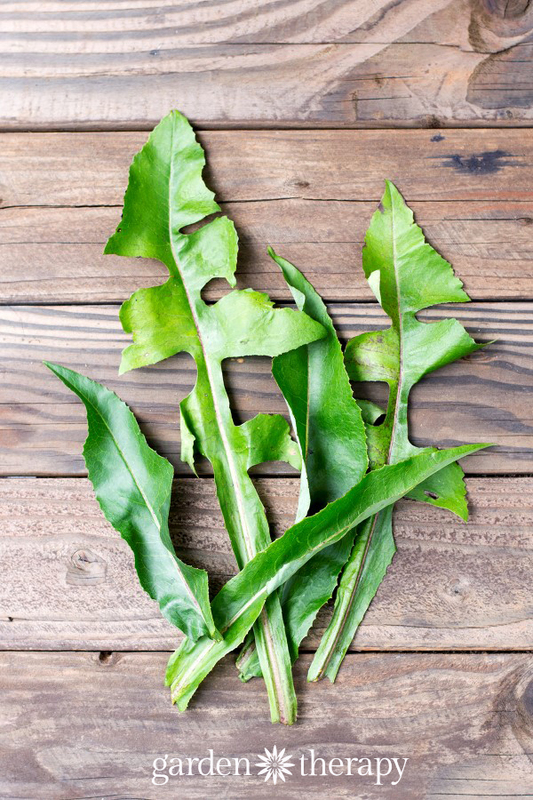 Dandelion greens are highly nutritious (read more about that here). They are very popular in Asian cuisine and are becoming readily available in Western supermarkets. If you can’t find them at the store, forage the greens from an area that you know is pesticide free. They can be on the bitter side so harvest baby leaves for a milder flavor. Tastes like: a bitter green like endive, but nutty. These delicate little leaves are tender and sweet. Lamb’s lettuce has been cultivated in France since the 17th century and is prized for its nutty flavor. Although it can be difficult to find at your local grocer on its own, it can be purchased commercially in prepacked spring mixes. This salad green is definitely one to try growing in your own garden. A nuttier, earthy version of cress. This mild, buttery tasting heirloom lettuce has splashes of red on the leaves that give it an appealing look both in the garden and on your plate. This is a very light tasting green similar to other lettuces and goes well paired with most other salad ingredients. Tastes like: light, buttery lettuce. You eat this lettuce with your eyes first, but your taste buds will reassure your choice with one bite! It will make any simple salad come alive with a pop of color. Bonus: it’s really easy to grow, too. Tastes like: mild, sweet lettuce. 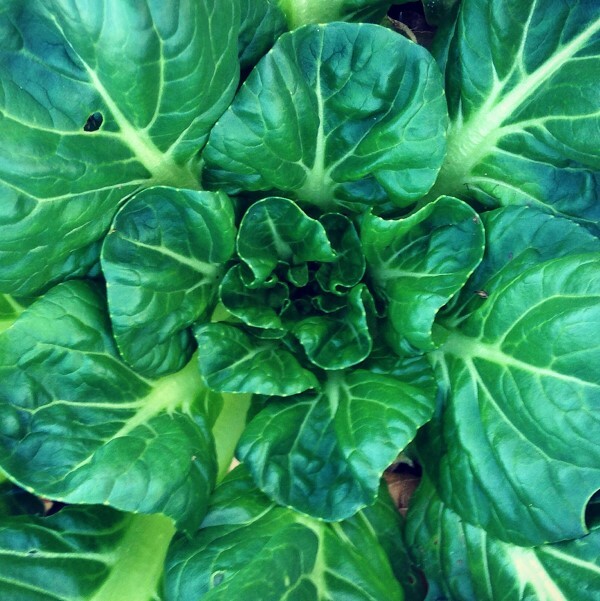 This popular Asian green has a similar texture to spinach, but with a mild mustard flavor. It can be easily found in its rosette form in Asian grocery stores. 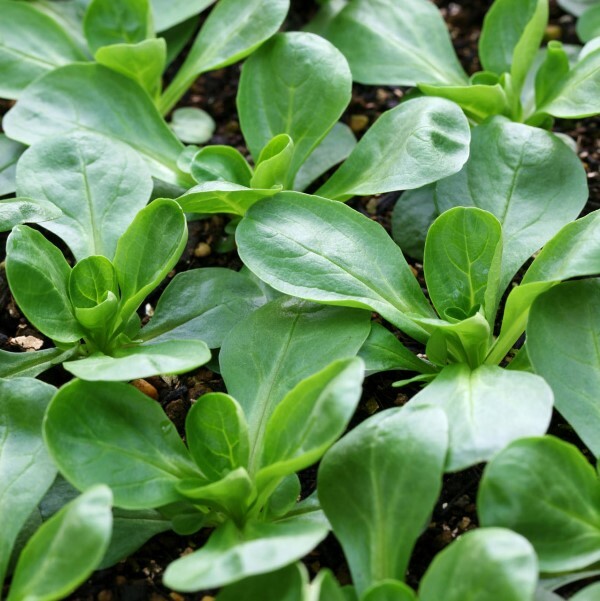 Tatsoi can be easily grown from seed and can take a hard frost. In zones 4-7 it can grow under cover all winter long. Tastes like: mild mustard greens. Also known as Japanese mustard, this green is pungent and offers interesting texture and flavor to salads. 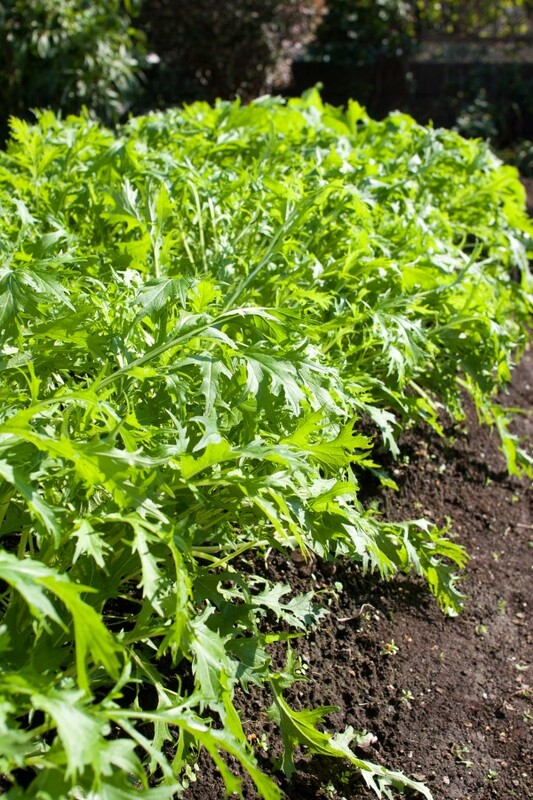 Mizuna is a fast-growing, cold-hardy green that is often included in specialty salad mixes. It’s easily started from seed and can survive heavy frost. Like Tatsoi, it can overwinter in zones 4-7 under a protective cover. Tastes like: mild, peppery mustard. If you want a bold flavor and crunch, then Frisée is for you. 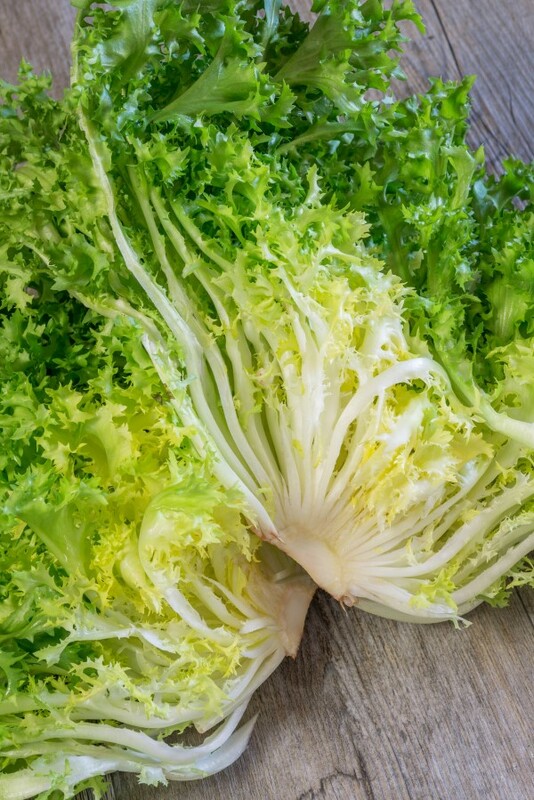 Also known as curly endive, the “green” gets its pale color form being shielded from light during the growing process. It is slightly bitter in taste and adds a lot of texture. Frisée is a challenge to grow due to having to “blanch” the leaves. The leaves are bound during its growing process to prevent sunlight to its newly forming inner leaves (which gives it its noted bitter flavor). Nonetheless, if you want to grow frisée in your garden, you can skip the blanching process. The result will be milder, greener leaves. Tastes like: bitter, peppery lettuce. The leaves of a sweet potato plant are not only delicious but highly nutritious as well. In fact, sweet potato greens are higher in nutrients and dietary fiber than most popular greens like kale and spinach. Sweet potato leaves are widely popular in many countries and are starting to gain popularity in the west. Their taste is similar to spinach and can be eaten raw or cooked. Sweet potatoes are heat-loving plants and grow prolifically. You can harvest them young without any impact on the actual tuber underground. Avoid the ornamental sweet potato vine you can get at the garden center. Many of these varieties are not grown for consumption and could be treated with chemicals. Tastes like: an earthier, sweeter version of kale. 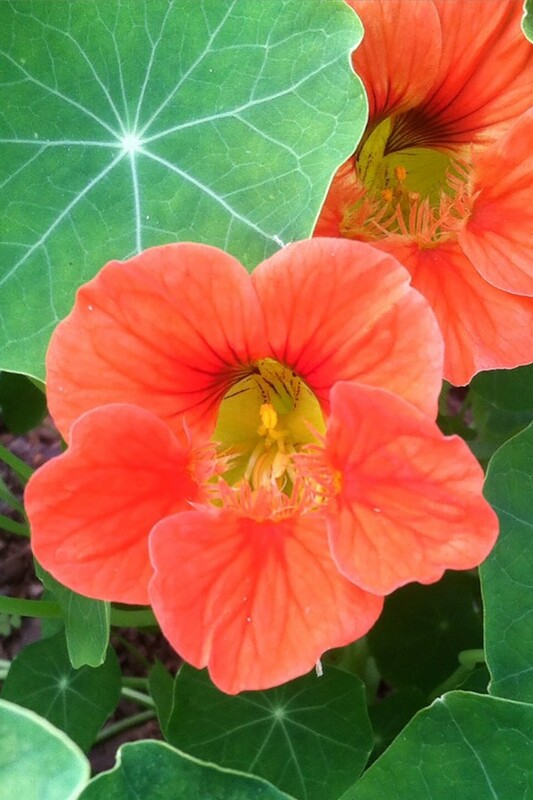 Many know that the flowers are edible on Nasturtium. The leaves, stems, and seeds are edible as well. 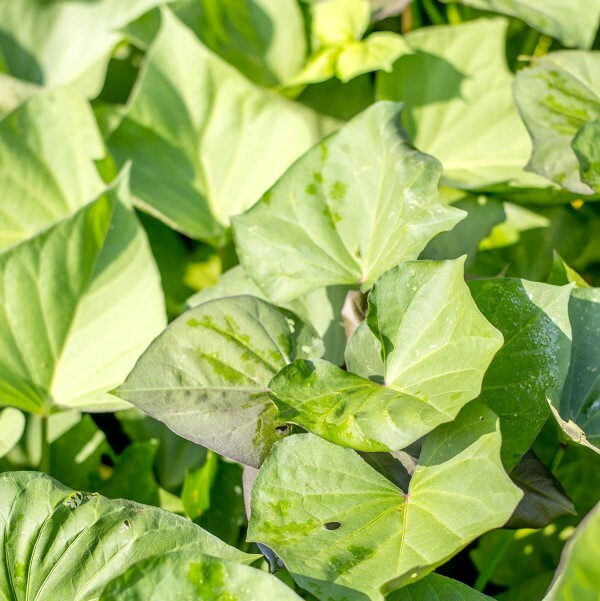 Nasturtium leaves offer a peppery flavor similar to its flowers. 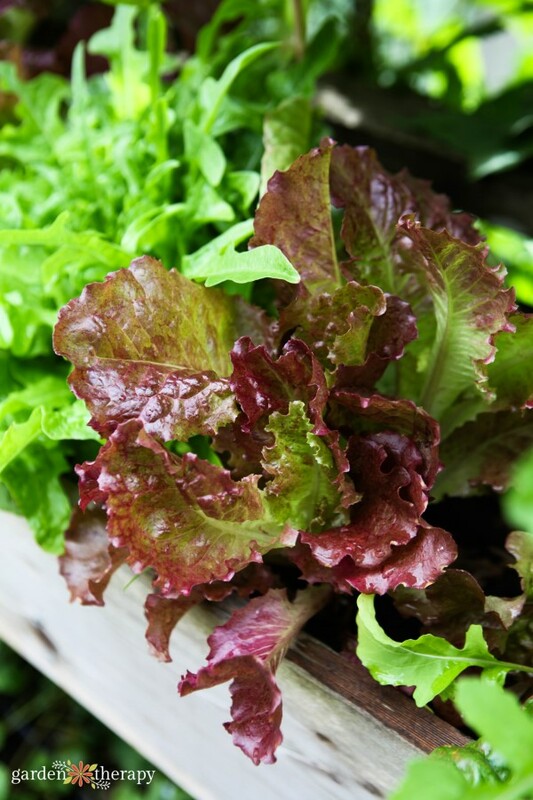 The leaves are tougher than the average leaf lettuce, but can be cut into thin strips to add a flavorful bite to salads. Nasturtium are a cinch to grow and make a great companion plant to many vegetables. Nasturtium can handle summer heat as well as the cooler temps of spring and fall. They do prefer poorer soil; fertile soil will result in more foliage and less blooms. Tastes like: peppery radish. This aromatic basil is as beautiful as it is delicious! 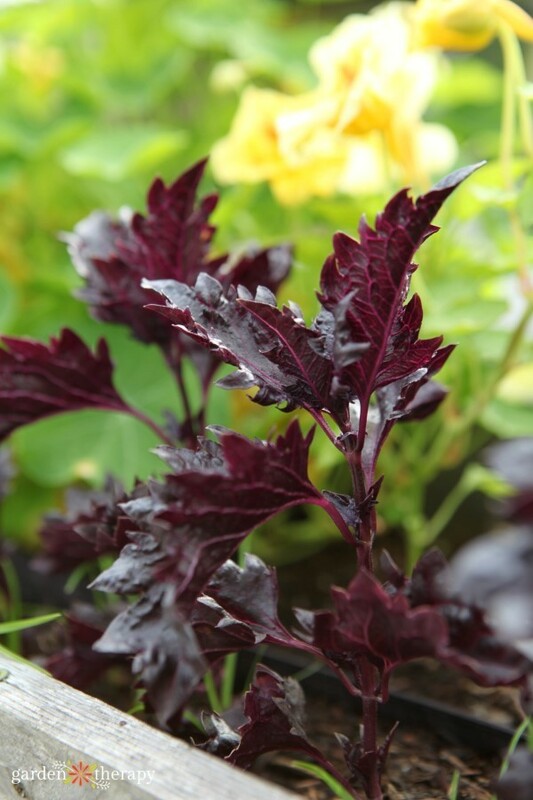 Its large dark purple leaves are the perfect size to mix into salads with your other greens and the striking color makes an everyday salad look elegant and attractive. Tastes like: a slightly stronger version of Sweet Basil. 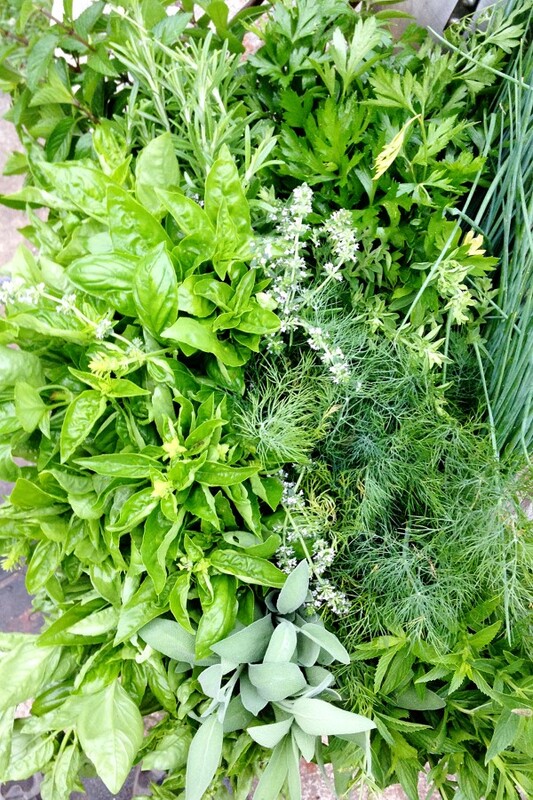 If you have several herbs growing in the garden, toss them together for a flavorful salad mix! Often herbs are just used in dressings or to spice up a dish. Make them front and center in your salad. Gather your favorites for a fragrant dinner salad. Tastes like: your favorite herbal salad dressing, but fresher! 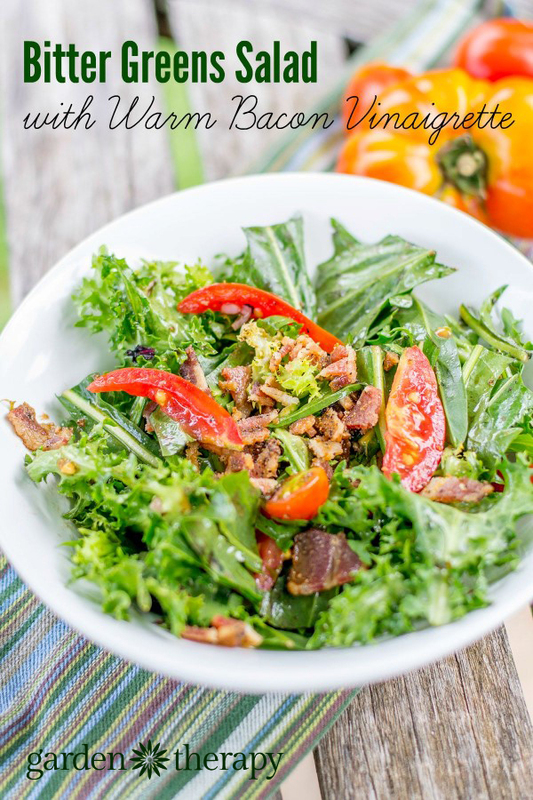 Try this fun way to enjoy some unusual salad greens for dinner any night of the week. Combine the dandelion greens and Frisée in a large bowl. To make the vinaigrette, cook the 2 slices of bacon until crisp. Remove the cooked bacon and place on a paper-towel-lined plate to cool. Remove the bacon fat from the pan. Add the olive oil, sliced garlic, tarragon, and basil to the pan. Warm the oil until fragrant. Remove from the heat and blend the oil with the lemon juice. Salt and pepper to taste. Toss the vinaigrette with the greens and sliced tomatoes. Serve with the reserved bacon crumbled on top. Debbie Wolfe is a mom of two rambunctious boys, wife, and work-at-home mom from Georgia. In her free time (when there is such a thing), she is in the garden or hidden away reading the latest post-apocalyptic sci-fi drama! As interests, Debbie is an obsessive crafter, home chef, and gardener. 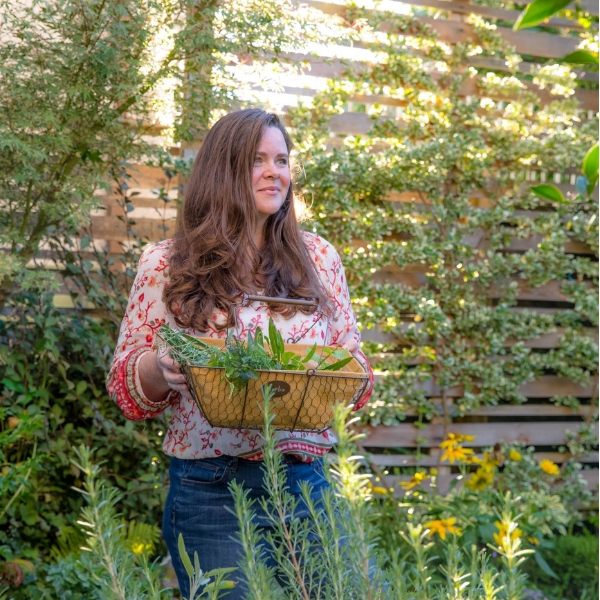 She is a freelance writer, blogger, and is a co-author and photographer behind the garden blog, The Prudent Garden; a collection of tips, crafts, and articles that highlight home gardening. I <3 the dandelion greens but also I didn't know you could eat sweet potato leaves, or that they even had leaves. A small section of my garden is home to greens that I use whenever I crave for salad. And I must admit that I’m quite guilty for mostly growing heads of lettuce since they’re the ones I’m most familiar with. So thank you for sharing this. 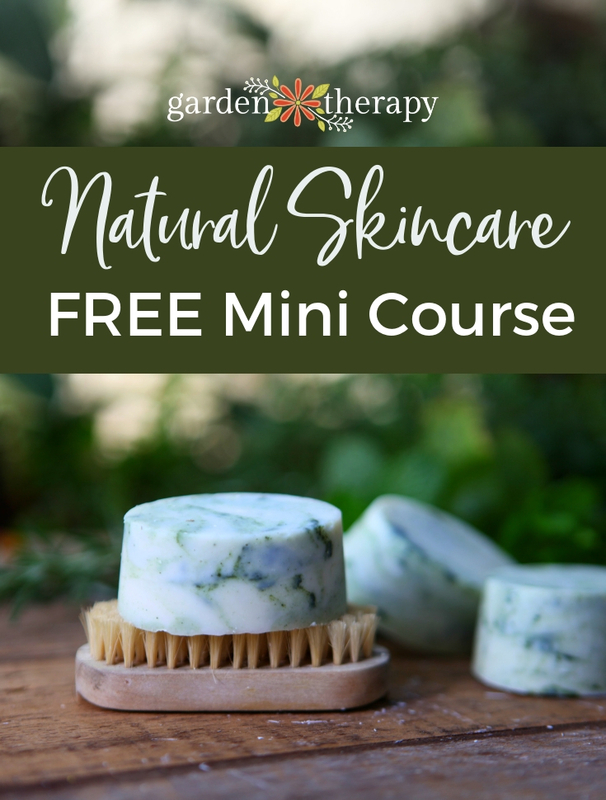 I can’t wait to try some of the greens you mentioned here.